The MAZEL TOV Band of the Jewish community in Cluj-Napoca was established in February 2002 by the violin teacher Vasile Stocea. The band’s purpose is to prove the entire world the fact the Jewish is beautiful. The MAZEL TOV Band mainly promotes cheerful, party music specific to the geographical area where we live. 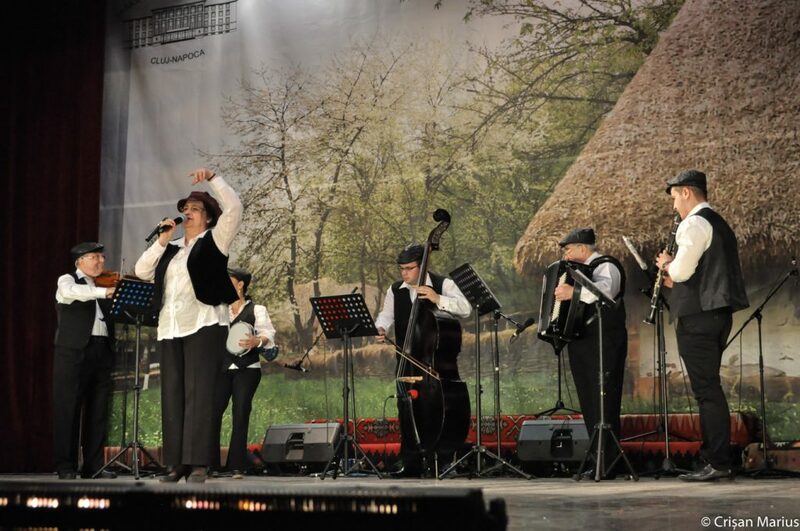 With a various repertoire, the band has succeeded to bring different shows to the audience with the occasion of Jewish holidays as well as folklore festivals such as: „Serbările transilvane” in Cluj-Napoca, “Săptămâna toleranţei” and „Festivalul multiculturalităţii” in Târgu Mureş, “Summit-ul minorităţilor” in Rădăuţi, „Festivalul diversităţii” in Sebeş, „Interetnic Festival” in Bistriţa, „Proetnica” in Sighişoara, „Ziua minorităţilor” in Cluj, „Shalom Ierushalaim” in Bucharest. Because of its vast repertoire, the band was allowed to participate at the sacred music festival „Anima mundi” at the Romanian Opera in Cluj in order to comemorate the Holocaust victims. From the international performances of the band we must remember those from Bucharest „Yiddisher velt” and „Zilele culturii evreieşti” and from Ukraine „Klezmerfest” . Starting 2009 the band has begun a co-operation with the Students’ Culture House in Cluj-Napoca where it was offered a room to rehearse and where MAZEL TOV has performed a show every year. The enthusiastic work of the band’s members has been rewarded by a series of trophies and diplomas as well as warm greetings from the audience.